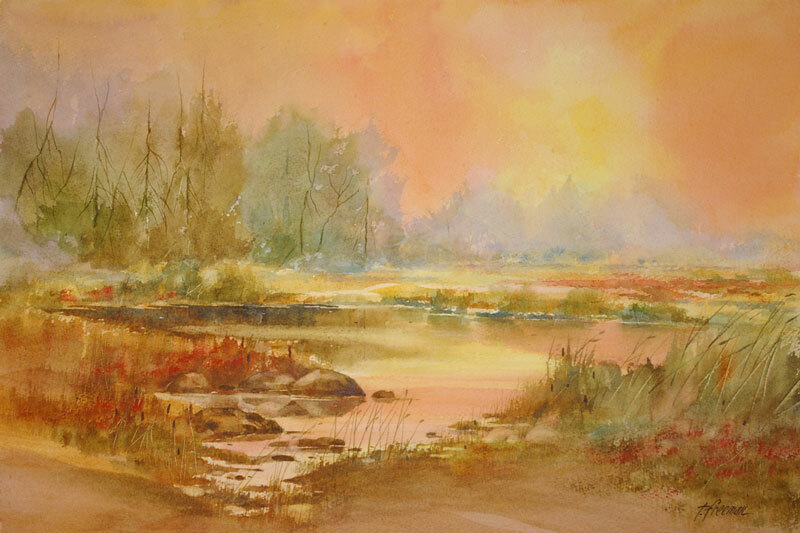 Thomas Freeman Original Watercolor Painting: "Down by the Pond"
This is reminiscent of the many small ponds and lakes I've explored in Michigan through the years. Here's a quiet, off-the-beaten-path pond probably known only to the ducks. The early morning sun produces a rosy glow in the sky and fog still lingers in the trees.